I was the lead designer on the brand's relaunch across digital platforms. 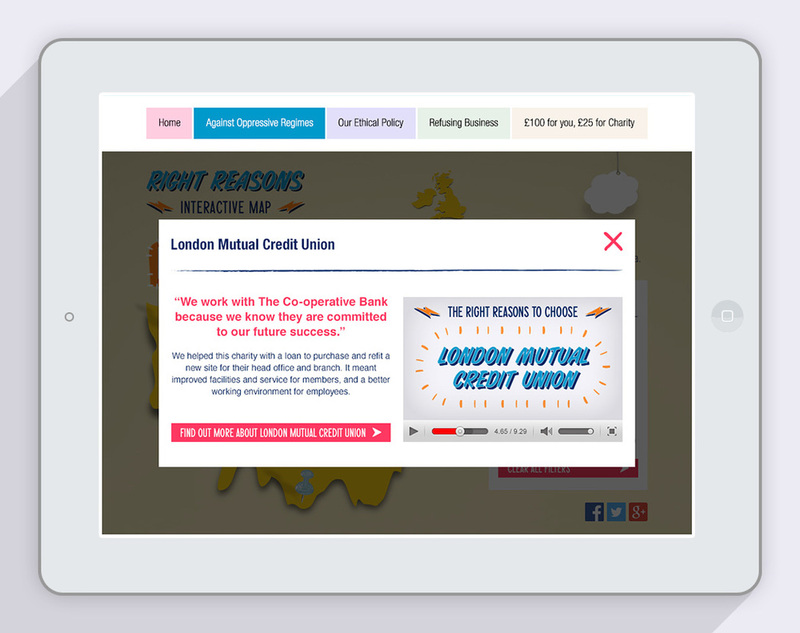 This involved banner ad development and design of supporting digital campaigns, such as the featured infographic and interactive map. 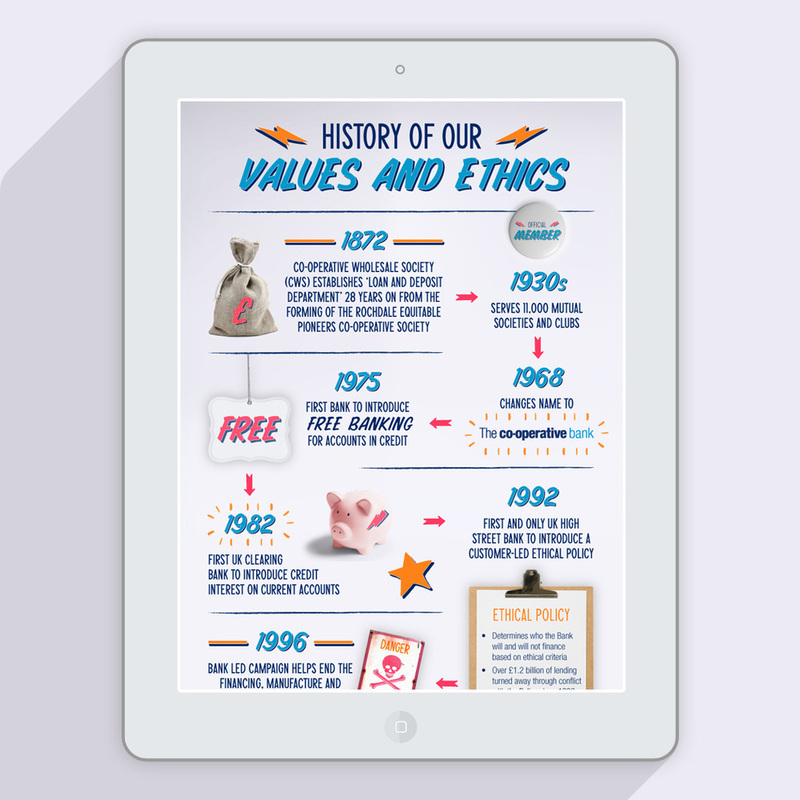 Original artwork was supplied by the campaign's lead agency. I used this to create a series of animations for the digital campaign. 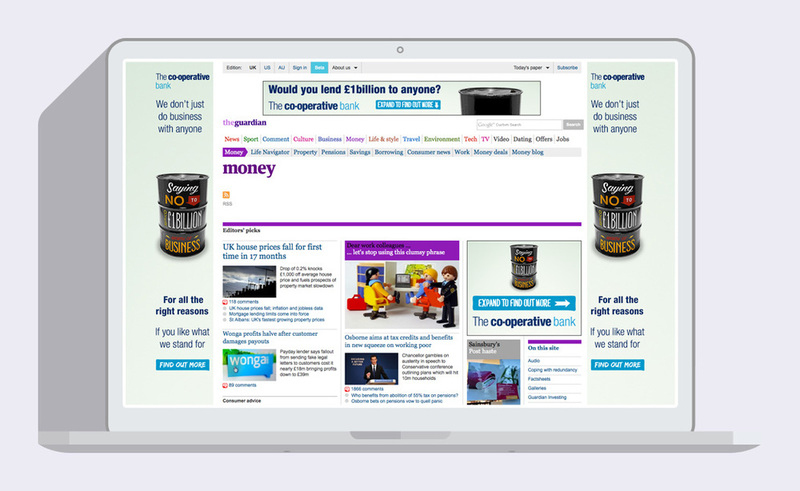 The campaign ran across a large number of financial websites including the Guardian's money section, as featured above. Subsequent supporting campaigns were developed including the above example which encourages viewers to switch bank accounts. 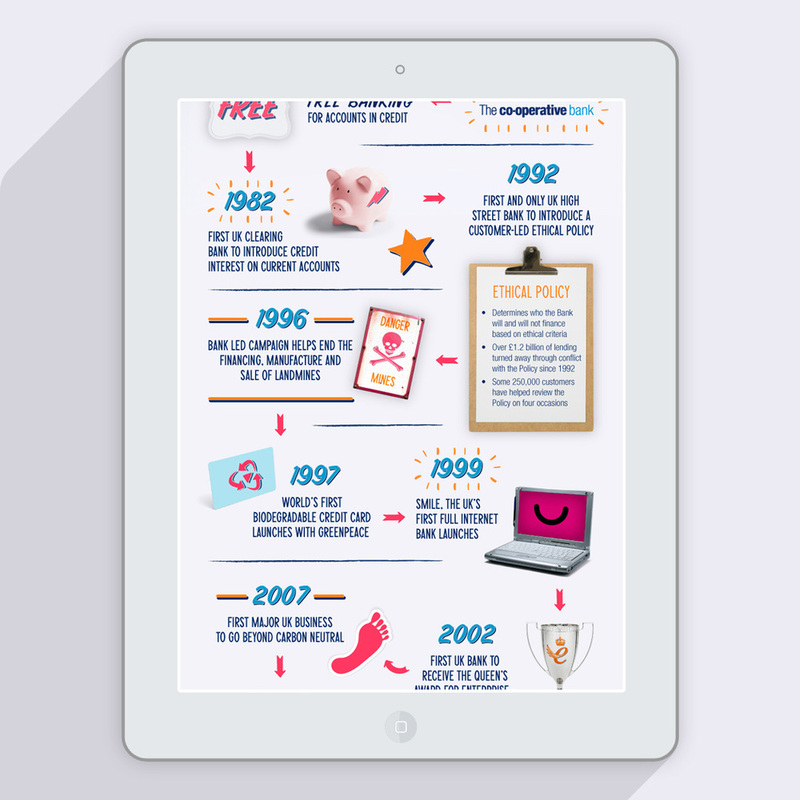 I designed this infographic using a combination of illustration, typography and photography. This was used as a style setter for subsequent artwork. 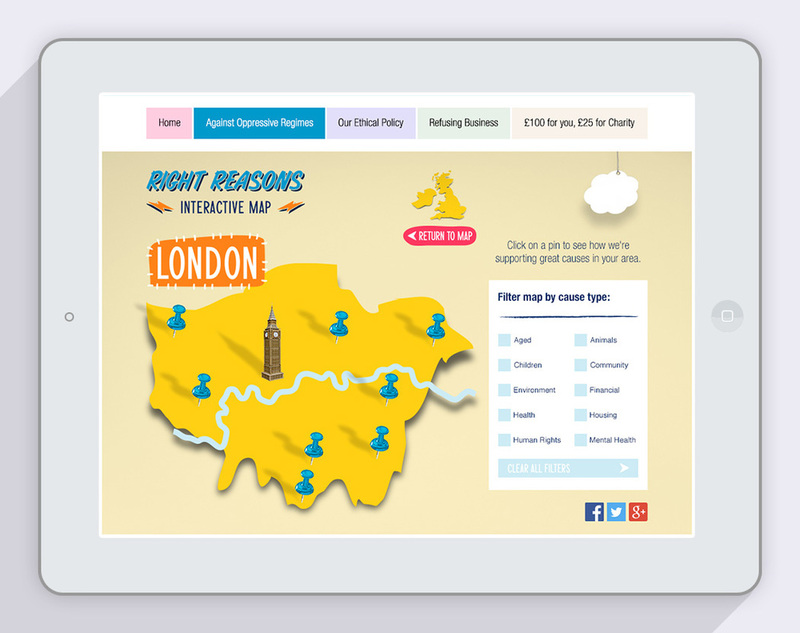 A similar treatment was given to the interactive map I designed to promote the client's involvement with charities in the UK.